Twenty years ago today, a West Virginia native with a distinguished college football career in Florida was named to the state's highest court. Few of the wizened Tallahassee capital news reporters who attended the press conference will ever forget what happened next. After Gov. Lawton Chiles introduced Miami attorney R. Fred Lewis as his appointee, he handed the podium to Florida's newest Supreme Court Justice. And Lewis gave an impassioned talk in the press room about the loves of his life -- his family, the law, his zeal for educating young people, and his concerns about people struggling with disabilities and other limitations. As an example, he pointed to his young daughter Lindsay Lewis sitting in her wheelchair nearby. She suffered from a rare life-limiting metabolic condition, he explained. As Lewis described how his daughter's courage was his greatest inspiration, thick-skinned reporters wiped back tears as they watched Lindsay look back at her father with loving eyes. 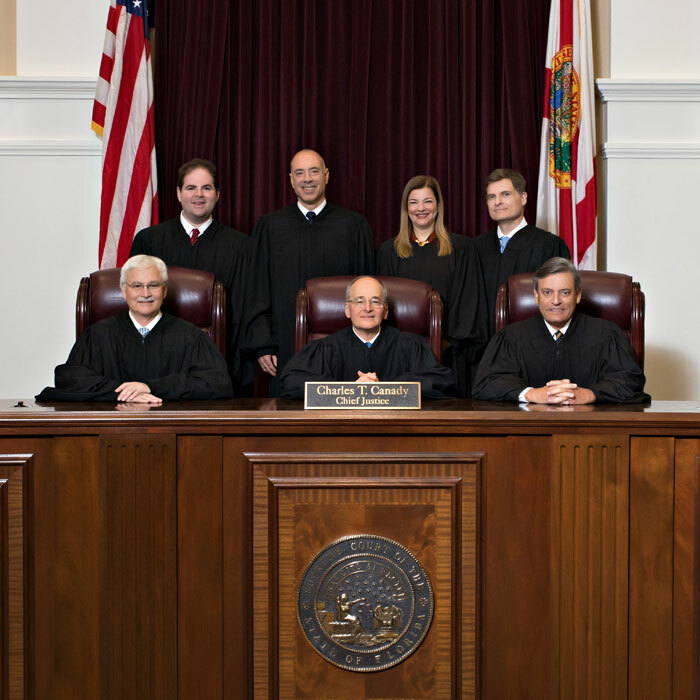 Not one of them remembered to ask any of the hardball questions they usually lob at the newest members of the Florida Supreme Court. Justice R. Fred Lewis reaches retirement age in just a few weeks, not long after today's 20th anniversary. 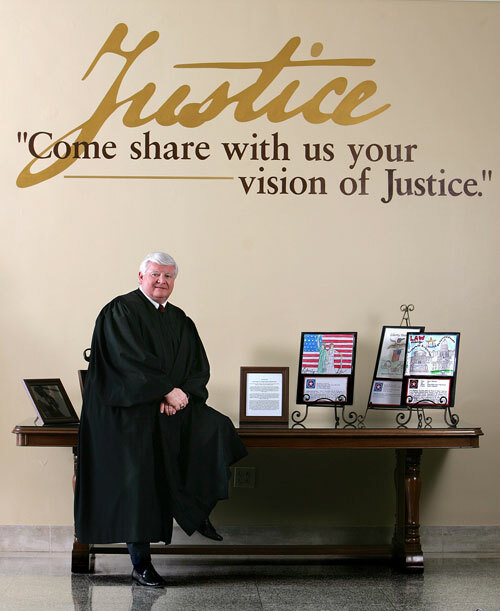 Photos posted on the Court's Facebook page look back on his career, his family, the daughter he lost during his time on the Court, and the passion for civics education that won him a prestigious Sandra Day O'Connor Award in 2014. Read the longer biography written by state courts writer Beth Schwartz.